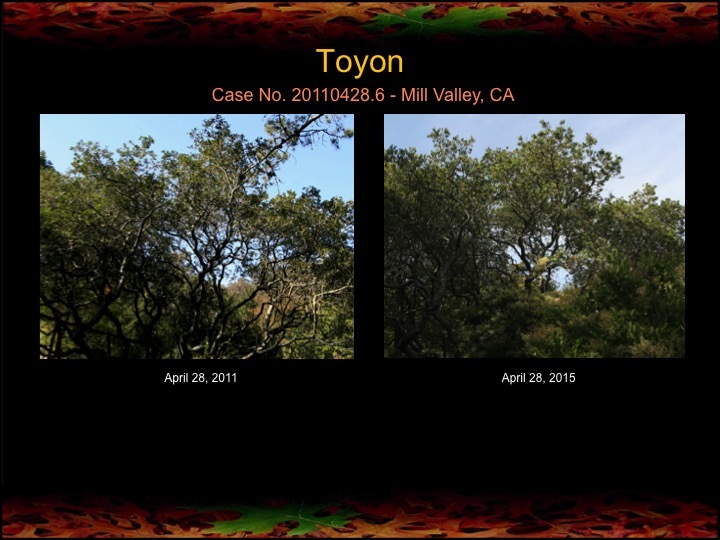 Here are some assorted results on oaks, pines, and one toyon tree that I collected over the past two weeks. All have been treated with fire mimicry. As you can see some trees are responding better than others. 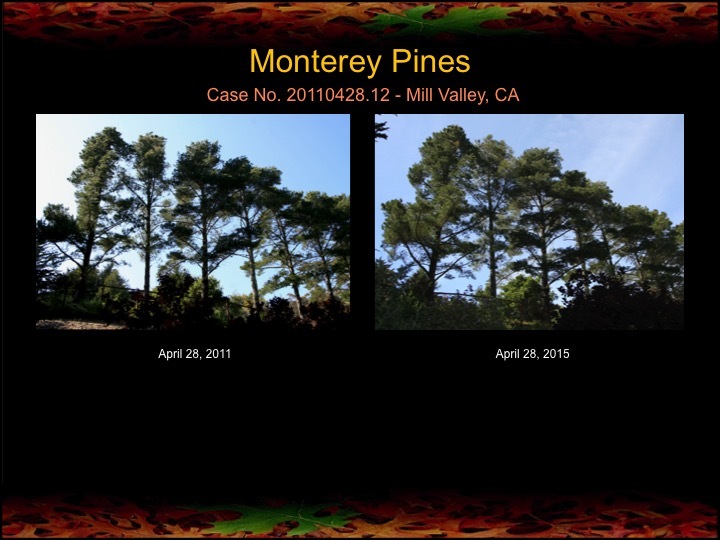 Some of the trees here are showing only a slight improvement in canopy size and density. But results are results, so here they are. 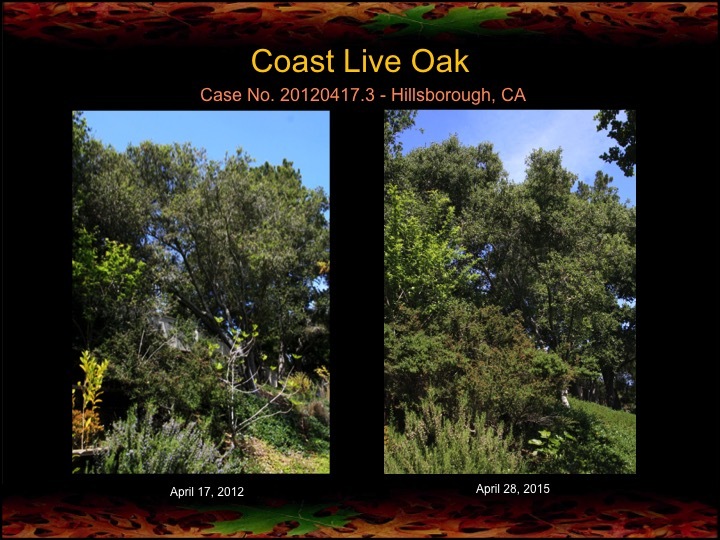 Fortunately, I found no infections of sudden oak death disease in any of the oaks here. A few days ago I checked up on some oaks treated with fire mimicry techniques twice in the past three years. Here are the results. 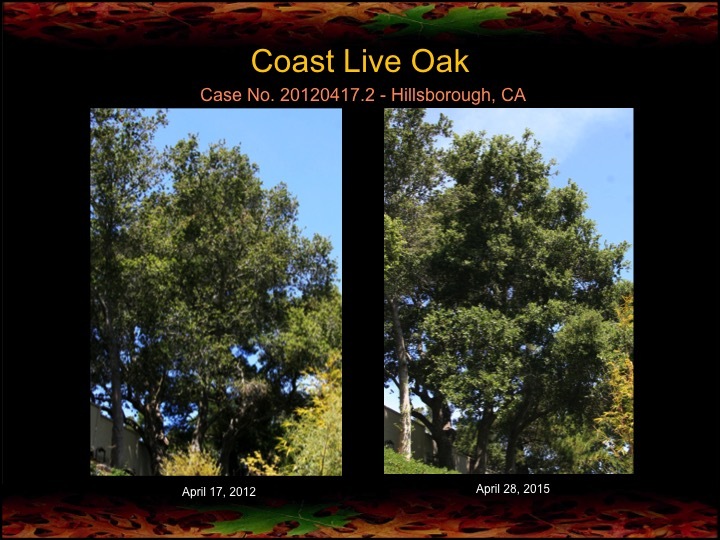 I’m pleased to see that all the oaks are showing noticeable improvement in the health of their canopies. Also happy to report that none of these oaks have become infected with sudden oak death, despite this area being a hotspot for the disease.